State Bank of India is the largest banking and financial services company in India by market capitalization, revenue and assets. It is a Govt-owned bank with its headquarters in Mumbai, Maharashtra. As of March 2012, it had assets of US$360 billion with more than 13,500 outlets including 157 overseas branches and agents globally. The bank was earlier known as Imperial Bank of India. Bank of Madras merged into the other two presidency banks—Bank of Calcutta and Bank of Bombay—to form the Imperial Bank of India, which in turn became the State Bank of India. In 1955, Government of India nationalised the Imperial Bank of India, with the RBI taking a 60% stake, and renamed it the State Bank of India. In 2008, the Government of India took over the stake held by the RBI. This space is dedicated for notifications of State Bank of India Recruitment for the year 2014. This post will be updated with all State Bank of India Jobs in 2014. Below given are the various job openings in State Bank of India. October 2013 : SBI gets its first woman chief : Arundhati Bhattacharya was on 07th October 2013 appointed as chairperson of State Bank of India, becoming the first woman to head India’s largest bank since its inception. The 57-year-old Bhattacharya was managing director and CFO of the bank prior to her elevation. She would serve a term of three years. 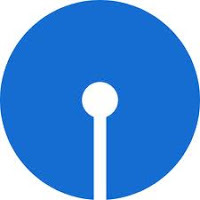 This post contains notifications about State Bank of India probationary assistant manager recruitment 2014, State Bank of India probationary officers recruitment 2014, State Bank of India clerk recruitment 2014, State Bank of India clerk recruitment 2014 through IBPS etc.